Audie Playlist, a software for managing the relationship with the listeners, that offers important resources for controlling and managing promotions and the audience of your radio station. It was developed focusing in a new concept of usability, offering agility and facility in its operations, besides offering an overview of topics of the relationship with the listener on its customizable reports and statistical data, very useful as taking decisions about the radio station programming. Trough its intuitive and dynamic interface, any user can operate the system, as no specific knowledge of the software is needed to use all of its functions. The system adapts to any kind of radio station, once all the categories has all the characteristics that turns the information flux and attendances related to the audience and promotions, besides its easy to operate to generate statistical data, increasing operational productivity and promoting in a fast way a range of information very important while taking decisions. Audie Playlist integrates with Playlist Digital and Maker. Integrating with Playlist Digital, the announcer can count on information that’ll help to have interaction with the listeners. Its connection with Maker allows the Musical Programmer to get essential knowledge to make a programming according to its audience musical profile. Audie Playlist generates a real time information needed to produce content. Audie Playlist counts on a range of resources to control and manage promotions of your radio station, making it possible to generate any kind of promotion, in real time, already available to listeners to participate. The software has an advanced tool for draws, using a promotion or defined criteria by the operator, in a dynamic way, getting the information of the participants or the prizes profiles. The black lists generation guarantee more security, making the winner’s selection process reliable. Audie Playlist allows creating quizzes, so, the radio station’s programming becomes interactive. A tool to analyze the quizzes is also available, giving a full knowledge of what the listeners like and expect. Efficient management of entry and leaving of prizes, since the incoming until the destination of each item base on the criteria established on your promotional radio stations actions. It is possible to generate a complete documentation of realized attendances, such as knowing well each listener, according to its last attending to programs and promotions. 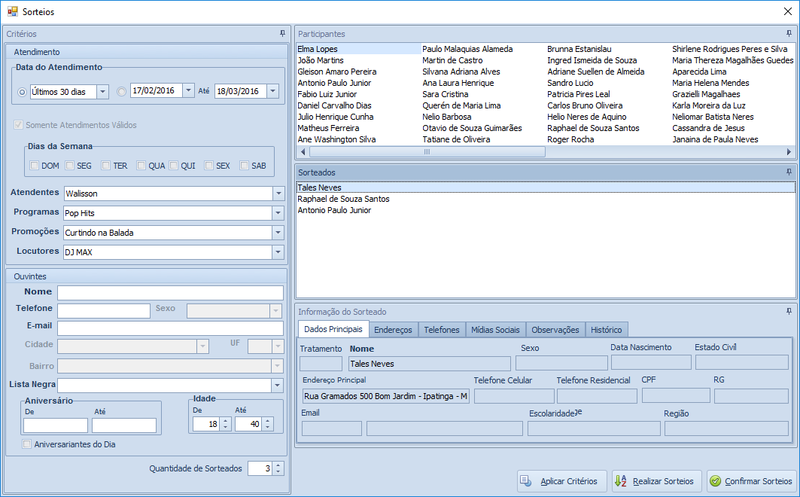 As the information related to the listener are filled at the database, such as: personal data, participation in quizzes, draws and promotions, musical choices and others, the listener’s profile will be filled. An innovative resource for searching and generate reports turns Audie Playlist into an innovative tool for managing a controlling relationship between the radio station and its audience. All of the reports generated by the software can be customizated according to what’s needed, which makes the reports simple to understand and analyze. Developed with the newest programming tools, the software has a customizable interface, easy to operate. It makes the use of the software pleasant, making its usability better and faster to do tasks at any kind of radio station. Audie Playlist offers important statistical information, represented by graphics in the most different levels of data, essential to make decisions related to the programming and audience. 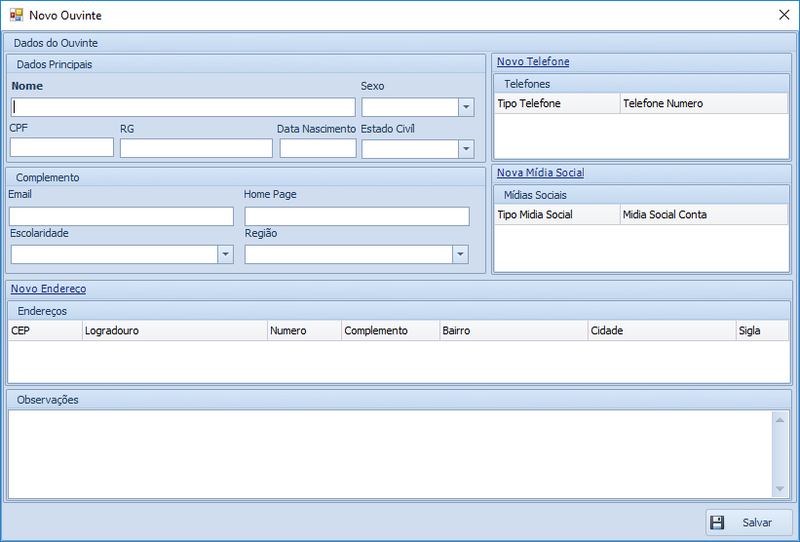 Its possible to create levels of usability and define permissions to each user. 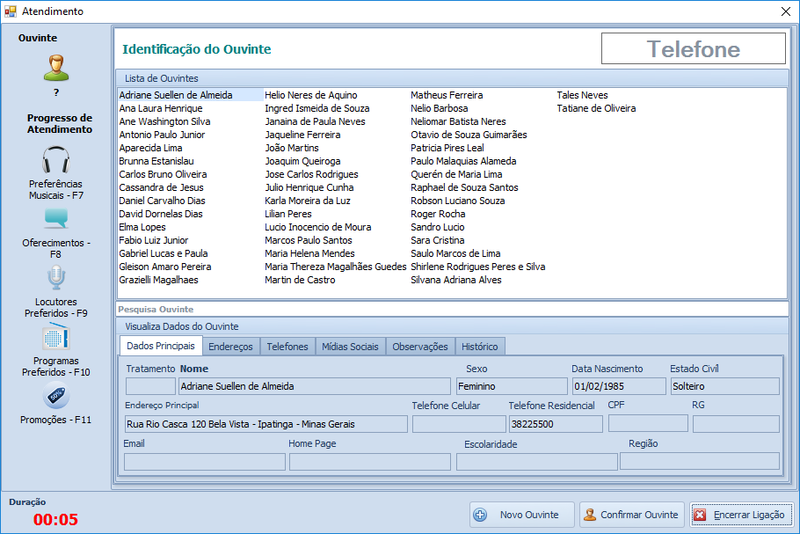 A LOG system is available, that guarantees total control of the use of the software resources. 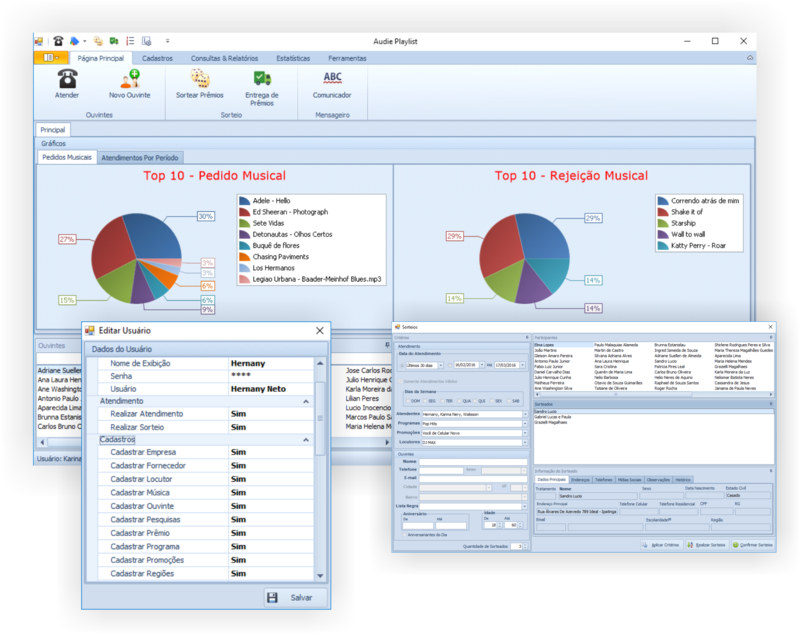 Based in confidentiality, integrity and availability, Audie Playlist was developed with the most advanced tools for programming, guaranteeing security while operating and controlling data. Automation Suite is the best software for automating radio stations, web radios and indoor environments. Contact us over phone on +1 786 374 2930, email playlist@playlistsolutions.com or Skype talkplaylist.